Last week, I was lucky enough to be able to have some time off to go to one of my favorite places in Los Angeles. Los Angeles County Museum of Art more commonly known as L.A.C.M.A. I know I may seem old fashioned, but one of my favorite things to do in my spare time is to view artwork. My favorite era is the French Impressionist and Edgar Degas definitely is on my list of top 5 favorite artists of all time. I have seen bits and pieces of his famous “dancers” before but never before like I saw them at L.A.C.M.A. The piece that stood out to me was a small group of ballerinas casually stretching together clad in bright green tutus. Seeing this piece for me up close and personal was like meeting my favorite celebrity. NOTHING COMPARES to seeing a brilliant work of art in the flesh (I know I’m a nerd). 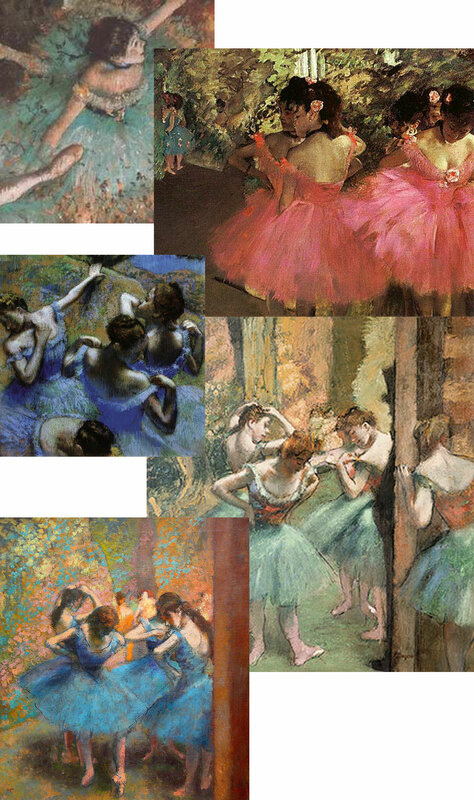 Below I created a collage that I feel embodies what today’s fashion would mean to the amazingly talented Edgar Degas. Items shown: Green Kate Spade Bow Bangle $78, Mint DvF clutch $325, Sunblaze Lace Dress $328, Jeweled Ring by Juicy Couture $88, Tabitha Simmons Evita heel $2,185 , Turquoise Cardigan $17.95, Lace Tulip Skirt $38. 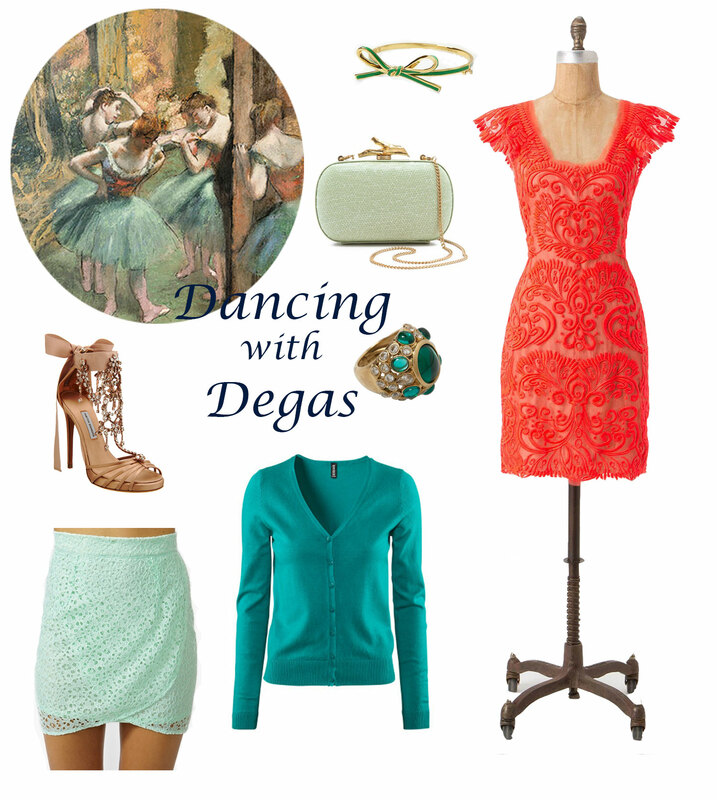 Dancing with Degas… Very clever A 😉 I love the fashion trends you chose to compliment his work!